This page is about Charlie Chaplin's music Do you love Charlie Chaplin films? Did you know Charlie Chaplin was a very fine composer? Yes, Charlie Chaplin wrote much of his own theme music! He was also a comedian, writer, pioneer of film acting, controversial film director. Certainly he was all these and more. Charlie Chaplin was an icon of the 20th century! Chaplin was truly a self made man, rising from a life of abject poverty to international stardom. His working life spanned 65 years from the Victorian stage and Music Hall in England, through the birth of cinema to its peak. What more can one say? Karno portrait used here is in the public domain as it was published before 1923. Source is wikipedia. The essential film music from Chaplin's films. In his twilight years, music became his main interest. Chaplin co-founded United Artists in 1919 with Mary Pickford, Douglas Fairbanks and D.W.Griffith and was a genius and polymath in entertainment. He was born on 16th April 1889 in Walworth, London and died aged 88 on 25th December 1977 in Vesey, Switzerland. He was married four times, but enjoyed the company of many women in his life and the fact that they were usually much younger caused controversy. Over his lifetime he was both idolized and reviled publicly, adored and misunderstood politically and 32 years after his death his legend still lives. "Chaplin was not just 'big', he was gigantic. In 1915, he burst onto a war-torn world bringing it the gift of comedy, laughter and relief while it was tearing itself apart through World War I. Over the next 25 years, through the Great Depression and the rise of Hitler, he stayed on the job. He was bigger than anybody. It is doubtful any individual has ever given more entertainment, pleasure and relief to so many human beings when they needed it the most." No volvera, nunca jamas, lo se muy bien. What Chaplin aimed for in his music. Charlie Chaplin's music is elegant, romantic and subtle. 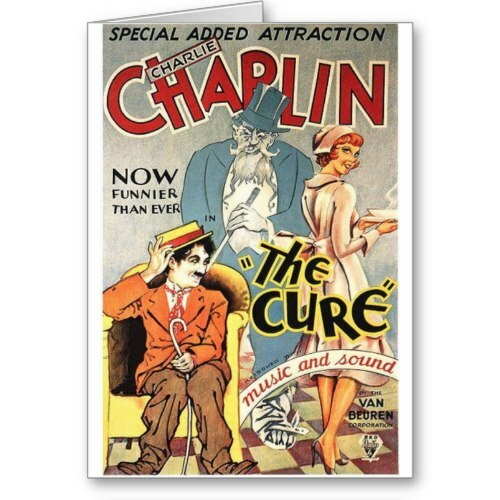 Musical arrangers often wanted the music to be funny and "knock-about" but Chaplin could see this would undermine the deeper dimension of his films. The tramp was more than just a clown - he had emotional depth and subtlety. To me, in that, he embodies the hopes of the ordinary man to be recognised and loved for who he is.... He didn't want the music to be competition for the comedy, he wanted it to be "a counterpoint of grace and charm, to express sentiment, without which, as Hazlitt says, a work of art is incomplete." Musicians and orchestrators would become pompous every now and then and talk of technicalities and analysis, restricted intervals of the chromatic and diatonic scales. (He knew and loved Schoenberg's work, but that didn't get in the way of his own voice and personal vision in his music.) He would reply to pomposity with the comment "Whatever the melody is, the rest is just a vamp!" Charlie Chaplin's music was personal and he took a great interest in its production. He looked over his own conductor scores carefully for over-orchestration, saying "That's too black in the brass!" or "too busy in the woodwinds!" Basically, he worked with musicians but hung on tightly to his own view of elegance and romance. I just acquired my own hardback copy of Charlie Chaplin's autobiography. Needless to say I think I am set up for some quality holiday reading over the summer! More later! When you read criticisms or appreciations of Charlie Chaplin's music in various music forums you would be forgiven for thinking he had little knowledge. In an era when it was common for the famous musicians of Tin Pan Alley to sing a tune to a "pro" and have it specially arranged, this was not unusual (and is no less usual in the music industry now!) However it is not true, Charlie Chaplin's music reflects his keen interest in music and both knowledge and ability at a professional level. The music of Charlie Chaplin is grounded in practical experience and instrumental knowledge. Charlie Chaplin took lessons from string players in the pit bands whilst on tour and would frequently practice between 4-6 hours a day on violin and cello. As a left hander, he had the bass bar and soundpost reversed on his violin. He knew that he could use the instruments in his vaudeville act at very least, but his secret ambition was to be a concert violinist. He set himself very high standards (hence the practice) but sadly he gave up when he realised he would "never achieve excellence". Very often musicians, who are a professionally jealous and highly critical species, will assert that Charlie Chaplin simply used professionals to do all the real work. This may or may not be reinforced by the fact that he had many friends among the musical superstars of the time. 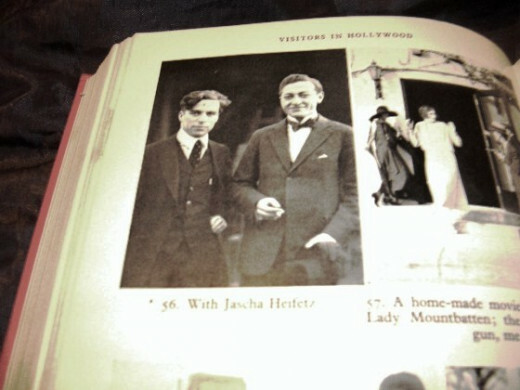 He dined with Rachmaninov and Chaliapin, the great bass singer, met Caruso backstage and was congratulated by Debussy on his music, for instance, and the picture above shows him with great violinist Jascha Heifitz. In his heyday he will have used all resources available as an actor and director, however in the latter part of his life his love of music came to the fore and he worked on his music anew. The Little Tramp - Charlie Chaplin's Eternal Character! Chaplin's earliest films were made for Mack Sennett's Keystone Studios. The tramp first made an appearance when Chaplin, age 24, appeared in Kid Auto Races at Venice. However, he had devised the tramp costume for Mabel's Strange Predicament. 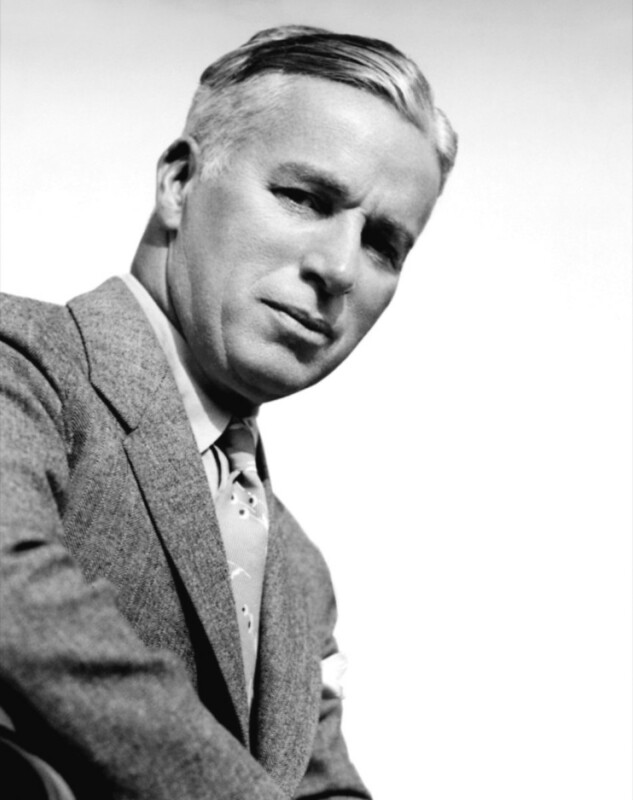 Mack Sennett had requested that Chaplin "get into a comedy make-up"
"I had no idea what makeup to put on. I did not like my get-up as the press reporter (in Making a Living). However on the way to the wardrobe I thought I would dress in baggy pants, big shoes, a cane and a derby hat. I wanted everything to be a contradiction: the pants baggy, the coat tight, the hat small and the shoes large. I was undecided whether to look old or young, but remembering Sennett had expected me to be a much older man, I added a small moustache, which I reasoned, would add age without hiding my expression. I had no idea of the character. But the moment I was dressed, the clothes and the makeup made me feel the person he was. I began to know him, and by the time I walked on stage he was fully born." Until he began making spoken dialogue films with The Great Dictator, Chaplin never shot from a completed script. The method he developed, was to set a scene and then improvise action and gags. A narrative would gradually emerge which frequently required reshooting any scene that might have contradicted the story. 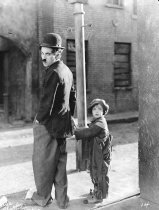 Chaplin's unique techniques became apparent after his death, when rare out takes and cut sequences were carefully examined. He was also a perfectionist and would film dozens of takes to get things just right. An example from the Gold Rush has a scene wherein the Lone Prospector was eating his shoelaces (made of liquorice) Chaplin was not satisfied and so he did take after take eating the shoelaces. Here are some of the musical credits from Chaplin's career. After the arrival of talkies, Chaplin made City Lights (1931) and Modern Times (1936) before he committed to sound. These were silent films scored with his own music and sound effects. City Lights probably contains his most perfect balance of comedy and sentimentality. James Agee wrote in Life magazine in 1949 that the final scene of City Lights was the "greatest single piece of acting ever committed to celluloid". While Modern Times (1936) is a non-talkie, talk emanates from objects such as a radio or a TV monitor. This was done to help 1930s audiences adjust to not hearing dialogue. Although Modern Times was the first film where Chaplin's voice is heard (in the nonsense song written and performed by himself). However, it is still considered a silent film and the end of an era. Chaplin's dialogue films were The Great Dictator (1940), Monsieur Verdoux (1947) and Limelight (1952). Chaplin has one film credit for choreography for the 1952 film Limelight, and another as a singer for the title music of The Circus (1928). The best known of several songs he composed are "Smile", composed for the film Modern Times (1936). The tune was given lyrics to help promote a 1950s revival and was famously covered by Nat King Cole. "This Is My Song" from Chaplin's last film, "A Countess From Hong Kong," was a huge number one hit for Petula Clark amongst others in the 1960s. Other versions include an unreleased recording from 1967 by Judith Durham of The Seekers which was discovered in the 1990s. Chaplin's theme from Limelight ("Terry's Theme") was a hit in the 1950s under the title "Eternally." In 1972, Chaplin won an Oscar for the Best Music in an Original Dramatic Score for the 1952 film Limelight, which co-starred Claire Bloom. Interestingly, a delay in the film premiering in Los Angeles made it eligible decades after it was filmed. Due to political difficulties, the film did not play a one-week engagement in Los Angeles when first produced so could not be nominated until 1972. Chaplin was also given two honorary Academy Awards in his lifetime. His second honorary Academy Award also came in 1972 and was for "the incalculable effect he has had in making motion pictures the art form of this century". He came out of his exile to accept his award, and received the longest standing ovation in Academy Award history, lasting a full five minutes. Chaplin's final two films were made in London: A King in New York (1957) in which he starred, wrote, directed and produced; and A Countess from Hong Kong (1967), which he directed, produced, and wrote. The latter film stars Sophia Loren and Marlon Brando, and Chaplin made his final on-screen appearance in a brief cameo role as a seasick steward. 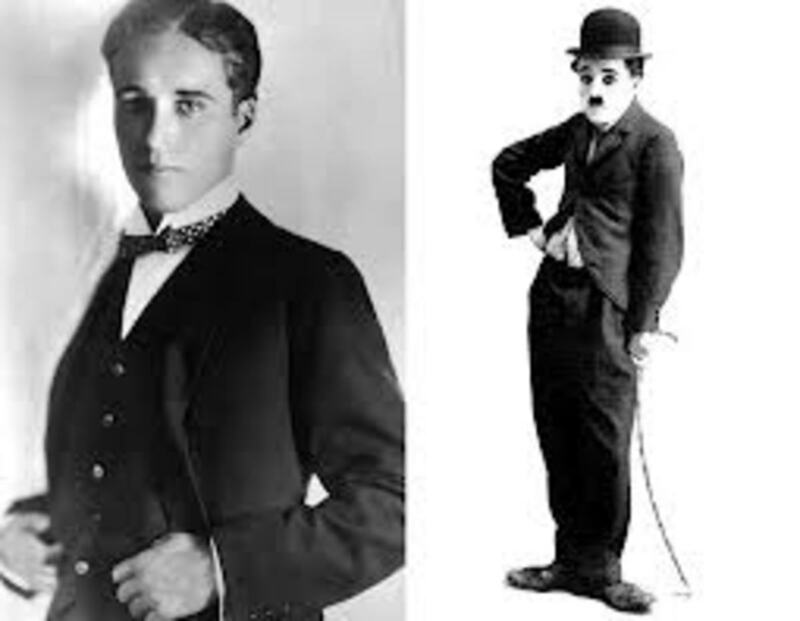 He also compiled The Chaplin Revue from three First National films for which he composed the music A Dog's Life (1918), Shoulder Arms (1918) and The Pilgrim (1923). From 1969 until 1976, Chaplin worked with Eric James composing scores for his silent pictures and re-released them. He composed scores for all his First National shorts: The Idle Class in 1971 (paired with The Kid for re-release in 1972), A Day's Pleasure in 1973, Pay Day in 1972, Sunnyside in 1974, and of his feature length films firstly The Circus in 1969 and The Kid in 1971. Chaplin's last completed musical work was the score for his 1923 film A Woman of Paris, which was completed in 1976, by which time Chaplin was extremely frail, even finding communication difficult. The tune is pure Chaplin, the words were added later by John Turner and Geoffrey Parsons. When I hear this song, a gem of Charlie Chaplin's music, with its perfect match of melody and lyrics I am reminded that Charlie Chaplin genuinely paid his dues! His lyricists must have picked up the mournful thread in his music. Alrhough he lived a life of luxury in his later adulthood, his childhood origins in London were poor, bleak and desolate. His life is a living testimony to those words although in fact he did not write them himself! You'll see the sun come shining through, for you. This song makes fun of Charlie Chaplin because of his lack of war service. In fact he volunteered for WW1 service, but was turned down as he was too small and underweight! Retrospectively, all his fans can breathe a huge sigh of relief that he wasn't a little bigger! Charlie Chaplin in the political wilderness - Charlie Chaplin was turned down for the army but supported his country in other ways. On 4 March 1975, when Chaplin was aged eighty-five, Queen Elizabeth II dubbed him a Knight Commander of the British Empire (KBE). The honour had been first proposed in 1931 but controversy prevented it. During World War I, the British press criticized him for not joining the Army. He had in fact been turned down as too small and underweight! 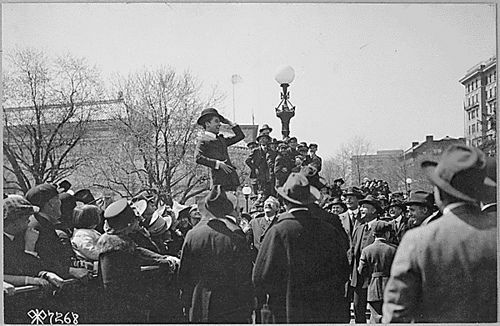 However Chaplin raised substantial funds for the War Effort public speaking at rallies and made, at his own expense, The Bond, a comedy propaganda film used in 1918. This did not stop the Press or the satirical song writers from attacking him of course. He came under fire for his socialist ideals in later life partly because of pro-Russian politics in the final speech from the film The Great Dictator. He was basically hounded out of America in the McCarthy era but when he returned in 1972 it was to a very warm welcome! Knighthood had been proposed again in 1956, but was vetoed by the Conservative government. The reason, they feared damage to relations with the United States during the Cold War and the planned invasion of Suez. Nothing is more adventurous or exciting than to hear the tunes one has composed played for the first time by a fifty-piece orchestra! only the music was to be recorded. One happy thing about sound was that I could control the music, so I composed my own. I tried to compose elegant and romantic music to frame my comedies in contrast to the tramp character, for elegant music gave my comedies and emotional dimension. Musical arrangers rarely understood this. Charlie Chaplin - "My Autobiography"
The 1992 film Chaplin gives a good insight into Chaplin's life story. 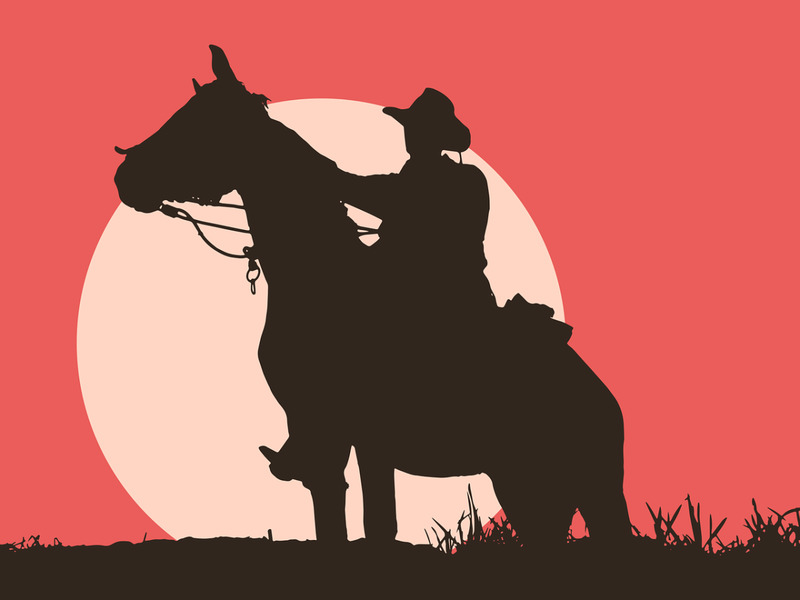 John Barry's soundtrack of the music from the film is worth hearing. Thank you for visiting, please feel free to leave your comments! What do you think of Charlie Chaplin's music? - Did you like this lens about the Music of Charlie Chaplin? Had no idea he had so many other talents! Great lens! Very informative! Sounds great. Never knew of them before! I need to familiarize myself with his music. He is a legend. What a talented man Chaplin was. I had no idea he wrote his own music. what a great artist. enjoyed your lens. Enjoyed this new information about one of my favourites. I love it! Chaplin was a genius! Totally awesome lens!!! Great lens, I hadn't actually realized that Chaplin was a composer. I didn't realize he did music. Thank you for a wonderful reminder of a great character and for his music. My day is made by the smile I had when I saw the title of this lens. keep well! Very interesting lens. Good ol' Charlie Chaplin! He was gigantic indeed. The whole world knows him. He is listed on my lens about Gypsies, The Roma too. 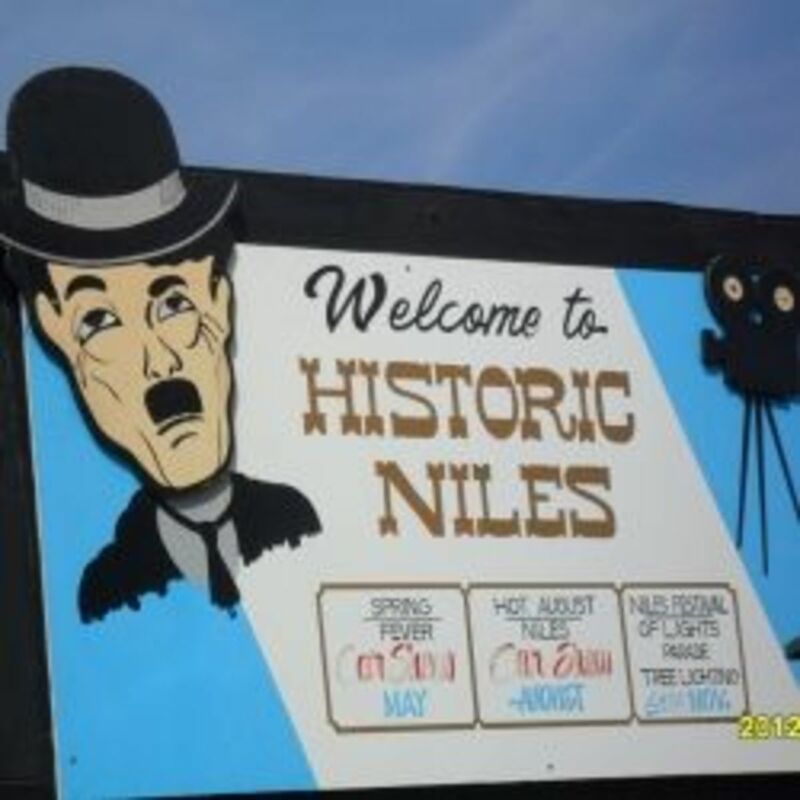 Lenrolled to Historic Niles district of Fremont CA lens. This is where Charlie Chaplin filmed "The Tramp" among other silent films. awesome lens!, Chaplin is amazingly talented! I had no idea Chaplin was a composer. For me this is an interesting new side to a man I thought of only as a "visual" comedian. Thanks. Super lens on a Super Comic! Good lens. Big thumbs up. Charlie Chaplin's music was very interesting. I had no idea that Charlie Chaplin did music! Chaplin is a great actor, and the music is pretty nice. Great music. Our Charlie had so many talents. His films should be seen more often. Thanks for a great lens. Charlie Chaplin movies touched my heart because beneath the laughter he could express the magnitude and depth of sorrow , he was a great actor. The movies and music are great, I do not find anyone coming close to him in the coming years. Nicely written lens that evoked my childhood memories of watching his movies. well the more you read the more you know, and I love this lens, great job. They don't make em like they used to - huh !!! Gotta remember to expose the Kids to Charlie ! Great lens! I really had no idea about Charlie Chaplin's music legacy. Getting educated on Squidoo! I love the fact that he made so many people laugh without saying a word, and his quote "A day without laughter is a day wasted". So much talent! Great lens; thanks for sharing, Photahsiamirabel! @AbsolutelyPrehi: Many do. The amazing thing about Chaplin is that he developed all his amazing gifts despite having one of the most deprived childhoods you can imagine. I knew he had written the songs, but did not know the full extent of his musical ability until I read his autobiography and did more research. He was a real musician! I did not know Chaplin composed music. I thought of him only as a silent film comedy star. A man of many talents. I have sheet music of his music. I never realized Charlie Chaplin composed the music for his films, but that makes so much sense. His tramp character is expressed so perfectly by the music. Thanks for increasing my knowledge of this fascinating man. I once showed my middle school students the film Modern Times as a way to help them understand the history of the early 20th century. Of course they loved it! Fun lens. Charlie Chaplin is enjoyable to watch. I loved Chaplin, and that is still one of my favorite soundtracks. It's hard to believe that movie was made so long ago. I erroneously associate John Barry's music with Charlie Chaplin but I'll have to set the record straight and listen to more of his original work. Thanks for sharing! Didn't know Charlie composed music. I Learned something new today. This is a fascinating lens. I never knew that Charlie Chaplin was a composer. I didn't know about this side of Chaplin!! Thanks for this wonderful information. Very well presented lens as well. 5* and a fave! 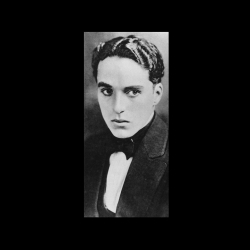 Charlie Chapling WAS more than just slapstick comedy. Thanks for this wonderfully made lens! I didn't know he was a musician at all! There's lots here to listen to and think about. Thank you!